Brian Miller, a currently serving Air Force Reserve Hawg Driver, gave an important speech and desperately needed reminder to his fellow Oath Keepers and to all of us in uniform. He touches on the importance of "standing up and taking heat" and times "where you cannot sit by and allow even pressure from within your own ranks to keep you silent." In a world filled with pigeons, it is refreshing to see an Eagle spread his wings. We owe him our appreciation for having the courage to honor his oath at home and for standing up for American principles, instead of going with the flow and conveniently considering logged time in an AOR as somehow a sufficient checkmark, in the courage checkbox. I just learned that Brian Miller, who was the Pima County GOP Chairman at the time of his speech above, was removed from the local GOP party this weekend. You can read more here, and you can learn more and support this truly courageous public servant by visiting his Facebook page. A man involved in government service and politics, who is actually willing to take the heat for doing what is right. Isn't that refreshing? My lawyers have completed the initial complaint and received a response from the Department of Homeland Security. Having completed the necessary back and forth, my lawyers will soon file the lawsuit in federal court against the agency and several of the agents involved. It has been a long process so far and it will be great to see the Constitution defended and oath breaking government employees held accountable. For those who may not know of this incident, I have previously blogged about it here. For perspectives on the incident other than my own, I recommend two other blogs, Roadblock Revelations and Thunder Tales. Time permitting, I will try to keep this blog updated on the progress of the litigation. As readers will know, I'm a proponent of the liberal SAF/PA guidelines on using new media for the discussion of ideas to strengthen the Air Force. New media has the potential to make up for the intellectual shortfalls that come with "check the box" master's degrees and PME programs that often provide merely the illusion of education. New media isn't a silver bullet, however, and can serve to reinforce cultural problems that plague our Air Force. I will be starting a several part series detailing the response to the ideas on this blog, and the expectations of our former Secretary of Defense, from a message board I recently was invited to participate on. I'll take my experiences and build on the research performed by a cyber anthropologist I hired to study the culture of the online community, which is included as an appendix in a master's thesis. Having lurked on the forum for more than a decade, I was reluctant to accept the invite, but did so in order to analyze the receptiveness of officers in the trenches to the cause of cultural transformation. Based on earlier experiences, I predicted it would only be a short matter of time until I was removed from the forum. This turned out to be true. The BaseOps.Net message board is arguably the most successful privately owned new media website, that caters to an Air Force aviator audience, in existence and has tapped into the heart of the officer and aviator culture. Its rich participation and quasi-official status make it the go-to place for all things related to the service, often outdoing official channels for the dissemination of information. Due to its success, most Air Force aviators are familiar with the site. It has its own SIPR side on an official military network where classified information can be discussed, is referenced as a resource in several Air Force documents, is owned by an Air Force field grade officer and is moderated by several active duty and retired field grade officers, including an active duty full bird Colonel. Several of the moderators have significant aviation combat experience. Those who frequent the site come from a wide background, but are typically from the Air Force aviation community. Others include participants from other career fields, as well as aviation journalists, authors, and at least one elected official with a military aviation background. With such solid credentials among both administrators and members alike, the community crawls with cadets and other hopefuls who wish to learn what it takes to be an Air Force aviator. Older members take it upon themselves to provide the culture and expected norms to the younger members, in a form of online mentorship. 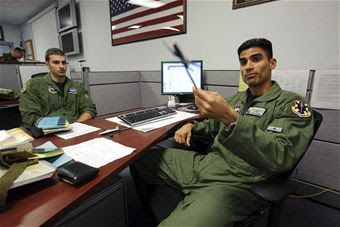 As such, besides providing an excellent source of information, the community of the BaseOps.Net forum also serves as a medium for Air Force culture. 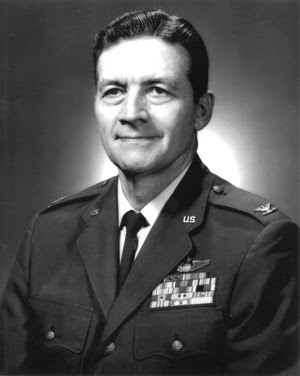 Col Michael D. Wyly, was writing about his friend, Col John Boyd (pictured above). These are the ideas that were referred to by the moderator. Discussions of non-combat courage, the kind of courage required for cultural transformation, faithful public service, and the prerequisite for physical courage in Col Wyly's view, are not allowed on the BaseOps.Net forum. The idea that officers need to display courage, outside of their aircraft, in order to be public servants who faithfully serve the taxpayer and citizens who employ them, proved incompatible with the prevailing forum culture. The coming series of blog posts will attempt to analyze why that is, how it plays out in behavior required for this particular group's acceptance, and what it might teach us about the broader Air Force culture and the way ahead for the strengthening of our service.